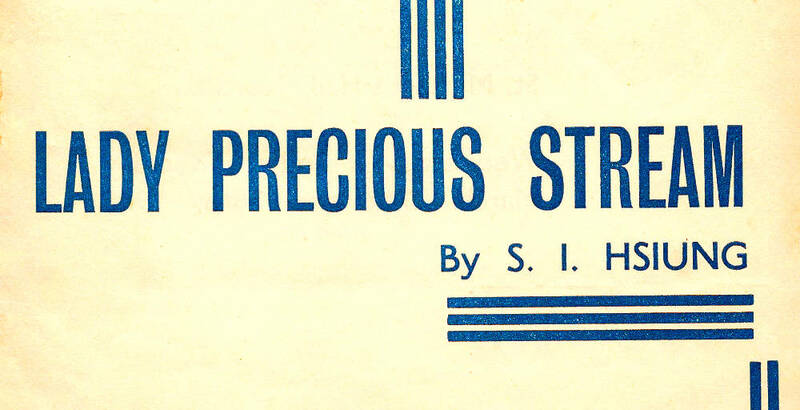 Lady Precious Stream is little known today but, when it was first produced, it became one of the most successful plays around. It was the first play to be written and produced in London's West End by someone from China. It ran for 1,000 performances in London, opened on Broadway and, in 1950, was adapted for television. Its writer, S. I. Hsiung (also known as Hsiung Shih-l or Xiong Shiyi) was born in Nanchang, China, in 1902 and educated at Beijing University. He translated plays by George Bernard Shaw and J.M. Barrie before moving to the UK in 1932, where he studied English literature Queen Mary College, London. Lady Precious Stream was first performed in 1934. The play is a romantic and comical domestic drama set during the Tang Dynasty (618-907). Its themes of love, fidelity, treachery and poetry made it a popular play with pre-war audiences. 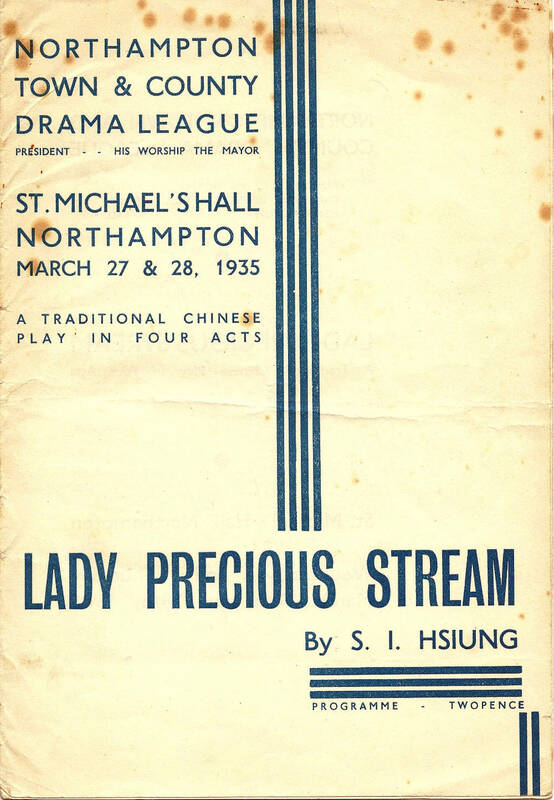 Lady Precious Stream went on to be performed by the Northampton Drama League another two times before the decade was out. The group is believed to have been the first amateur company to perform the play. The group, established in 1931 as The Northampton Town and County Drama League, later became the Northampton Drama Club and then Masque Theatre.